One can wonder if and how it's possible to recreate a huge battle involving hundreds of thousands of men on a 50 km wide front in a 1:1 ratio scale. It's quite a challege, I would say. But it's not impossible, using some phantasy and capacity of scaling down. The Battle of Tannenberg, or the Campaign on the eastern Front saw the Germans and the Russians to face each other in a fierce series of battles. I intended to recreate this giants' battle. In this case, 2 Companies of an Infantry regiment are attacking a village on Eastern Prussiam September 1914, at 1:1 ratio, i.e. every papersolidiers represents a real soldier. What now matters is to understand the real composition of a German Regiment at the epoch. 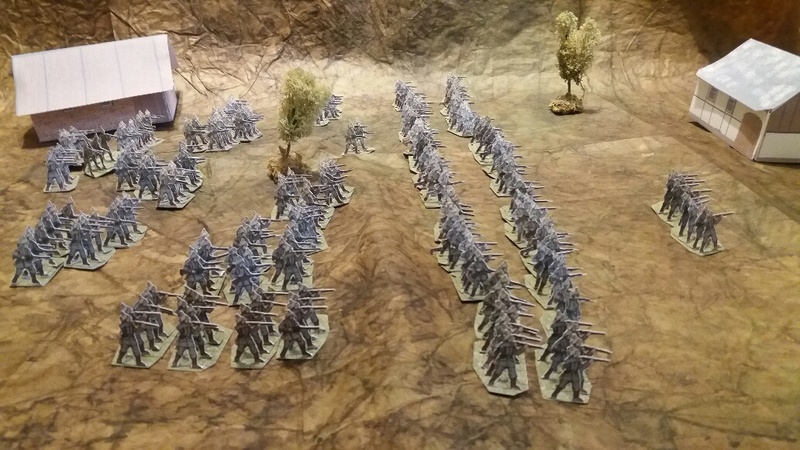 So an Infantry regiment was on 3 Battalions, each on 4 Companies, each on 3 Platoons, each on 4 Sections, each on 2 Squads. 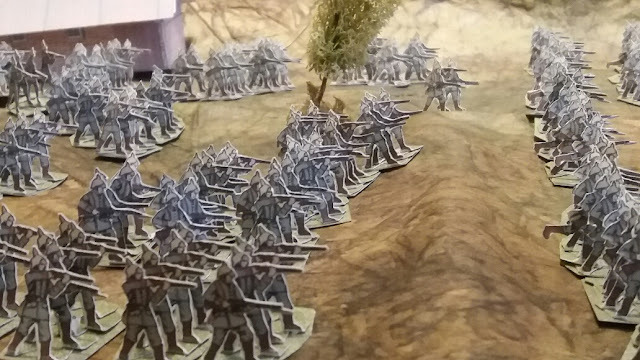 I decided to split the Squad in two stands: the first of 4 papersoldires and the second of 5 papersoldiers. This means that a Company will have 48 stands (each with 5/4 papersoldiers glued on), for a total of about 210/2016 papersoldier/Company. 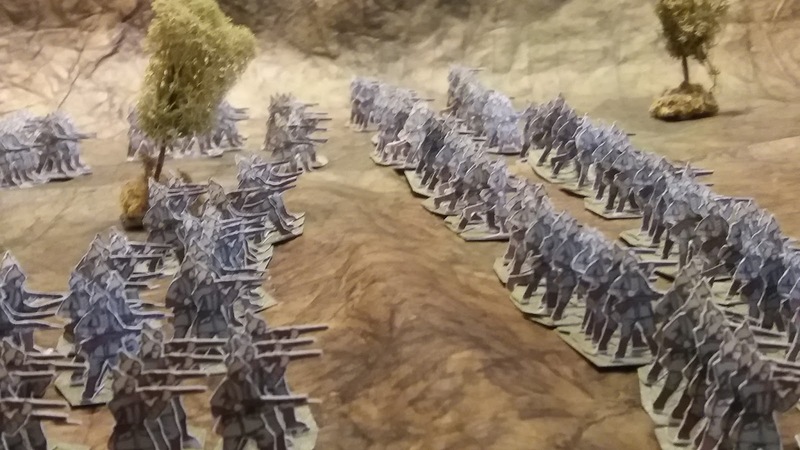 How to menage to recreate a 100.000 papersoldiers vs 150.000 papersoldiers is the challenge of the text post.